As a personal chef, I have worked many a time with athletes, or principals wanting to reach that level, looking to gain weight coupled with an intensified exercise regime. Calories count is of the utmost importance, so up-to-date nutritional knowledge is primordial. My focus is on nutrition first, purposely choosing the right source for higher calories intake. Then I create recipes adapted to each individuals; their abilities in the kitchen, and willingness to cook, for when not cooking for them. Plus, starting this year, I will religiously assist at the Sport Nutrition Live, the UK’s leading sports nutrition conference, sponsored by DNAFit, to boost my knowledge on current sport and nutrition, new science findings, nutrigenomics, biochemistry, exercising techniques, and meet up with other colleagues in the field. This year was particularly amazing as the amount of knowledge given was relevant, rooted in clinical studies, and in some ways easy to understand, which is vital to implement the knowledge in everyday practice. Plus, stands of companies with interest in the field had extraordinary advanced products to showcase. The goody bag was really impressive. It is therefore an event i will never miss. You can make full use of my knowledge, my passion for and understanding of food, deep-rooted in Naturopathic Nutrition, to reach your goal, keep you motivated, and reach optimum your health while training extensively. Ian Craig MSc, CSCS, INLPTA is an exercise physiologist, nutritional therapist, NLP practitioner and an endurance coach. He was a competitive middle-distance runner for 20 years and is now a more leisurely runner and cyclist. 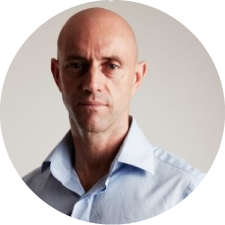 Ian specialises in Functional Sports Nutrition (FSN), a fast-evolving discipline that considers both health and performance of an athlete from an integrative health perspective. Ian is the editor of Functional Sports Nutrition and Total Sports Performance magazines and also leads the new FSN Academy. In his home of South Africa, he runs a private exercise and nutrition practice in Johannesburg. 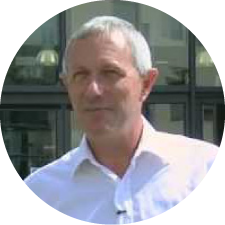 Professor Michael Gleeson PhD is professor of exercise biochemistry in the school of sport, exercise and health Sciences at Loughborough University (UK). He is a world authority on exercise biochemistry, immunology and nutrition, and has published several books and over 180 scientific papers. His research is focused on the effects of acute exercise, repeated exercise and intensified training on the immune system and the modifying effects of nutritional interventions. He is past-President of the International Society of Exercise and Immunology and a Fellow of the European College of Sport Science and the British Association of Sport and Exercise Sciences. 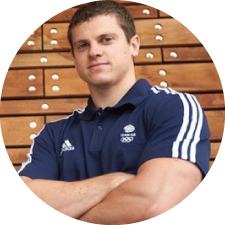 Craig Pickering is a former professional athlete in both athletics (100m and 4x100m relay) and bobsleigh, gaining selection for the 2008 Beijing Summer Olympics and the 2014 Sochi Winter Olympics. Since retiring due to injury in 2014, he has been working as head of sports science at DNAFit, a company offering both fitness and diet-based genetic testing. Alessandro Ferretti is a practicing personal trainer and nutritional therapist and has a wealth of experience in the field of sports nutrition and environmental effects on performance. A graduate of ION, he worked for several years with a highly regarded supplements companies as Education manager before leaving to establish his own nutrition business, Equilibria Health Limited. 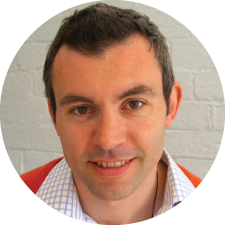 Alex now lectures on clinical workshops aimed at the post-graduate sector, consultant to companies in product development, provides corporate wellness packages and runs a successful nutrition practice, which includes many serious athletes including research in nutrigenomics. Pete Williams M.Med.Sci AFMedCP CSCS is a functional medicine thought leader in health and lifestyle medicine. 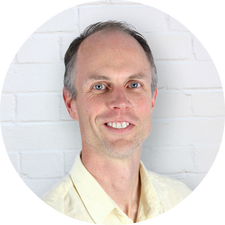 Pete is a certified functional medicine practitioner through the Institute for Functional Medicine. He is in private practice in central London. www.petewilliams.org. Dr Hannah Moir, BSc, PGCE, PhD. Completed her PhD in the expression and activation of 5’AMP-Activated Protein Kinase (AMPK) and immune function in aerobic exercise at the Cardiff Metropolitan University (formerly University of Wales Institute Cardiff) in 2009. She is currently a lecturer in health and exercise prescription at Kingston University, London. Hannah’s current research is on the recovery of muscle damage and inflammation and the association to clinical conditions of diabetes and arthritis. She has a number of peer-reviewed articles in the field of exercise immunology, biochemistry and physiology, and provides consultancy for injury, inflammatory conditions and exercise prescription. 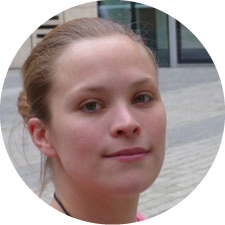 Hannah is a member of the British Association of Sports and Exercise Sciences, the Physiological Society and International Society of Exercise and Immunology. Hannah also enjoys playing netball.